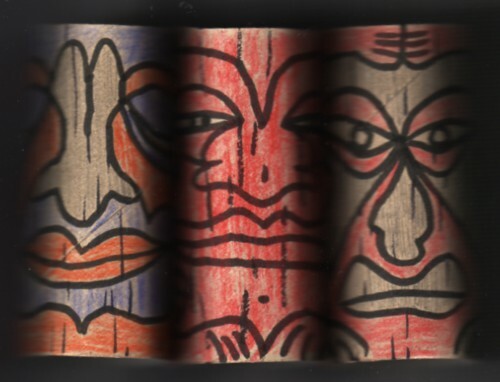 Some weeks ago I said that I would show you more of the Tiki Toilet Rolls that I have been making. I still make them, by the way. But I can only show you a few, because we give them away to whoever visits us. Especially little children like them. I like to create things out of waste. 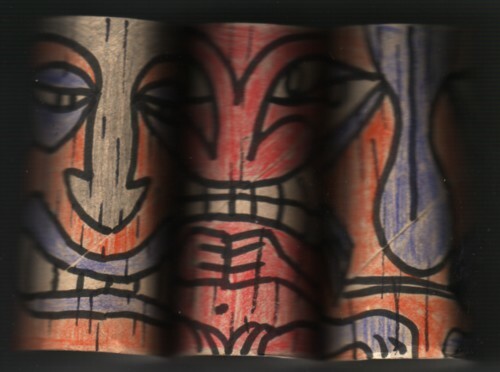 Toilet rolls are on the bottom of the list of the world most valuable things, so that is a great source of inspiration to make these little Tiki statues out of them. 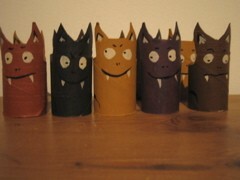 When we visited Annet last week, she showed me some of the animals that she once had made out of these tiny paper rolls. I especially like the vampires. ”We should start a toilet paper roll fanclub!” I said to Annet. 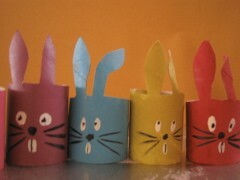 So, are there any other people who make objects out of toilet rolls? I would say: three more of us and we start a fanclub.